Think you are pretty tough? Think again. Elite members of the SWAT (Special Weapons and Tactics) teams have shown just how tough you actually need to be. SWAT members have to be ready at all times, regardless of the weather, how hot it is or what the asthma and pollen level warnings are. Because the SWAT is seen as such an elite team, more and more fitness experts are now offering SWAT training. This training will not allow you to join your nearest local law enforcement department and go on raids together, but it will give you a taste of what you could expect. As such, you will get a little feel of the physical training that is required, usually by taking part in training for a full day. Your day will start with an hour of physical training, or PT. From there, you will go straight to shooting range and run through scenarios where various people are attacking you. Luckily, you will be able to drink water as and when you need it and there should also be a paramedic at hand. You wouldn’t be the first one to pass out with dehydration. SWAT training can be done in any conditions. Some of these will work on your emotions and psyche, others are far more physical. It is very varied in its delivery, so you will get to know little bits of everything. 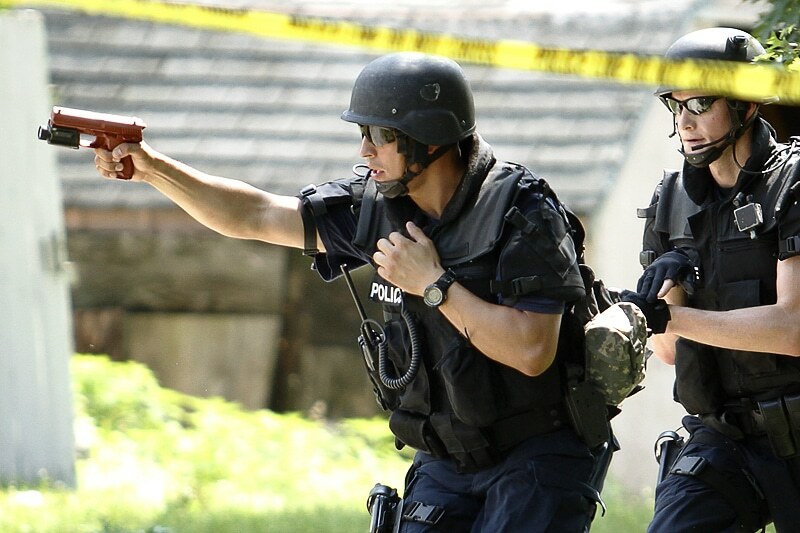 A real SWAT member would use various weapons on training drills. If you are doing this “for the fun”, then it is more likely that you will use paintball weapons or other forms of “simunitions”. Depending on how the training is set up, you may also be challenged to work as part of a team to set up the best way of executing a mission. However, more than likely, your training will revolve around the physical elements of being a SWAT. So what does a day look like for an actual SWAT member? Generally, they will spend an hour on the morning doing stretches and calisthenics. Then, they go for a long run that ends with hill runs or sprints. Sometimes, some running up the stairs is done as well. At that point, the focus of the day will be chosen. This could be self-defense, weapons training, tactical thinking, hostage extractions, hostile take downs and so on. Based on the theme of the training day, the actual exercises will also be changed. The goal of the training, however, is to be as realistic as possible. This is because really SWAT members can be faced with some terrible situations in which their decisions will mean the difference between life and death. If you are following this training as part of a fitness regime, the focus will be somewhat different of course. This is mainly because you will not be able to experience the real mental stress that comes with being a SWAT. But you will still find that you need to be incredibly strong to make it through the training at all. I am Kingsley a 20 something-year-old. I am a Blogger, Webmaster and the founder and Director of Krafty Sprouts (BN: 2362604). A not so tiny digital media firm in the heart of Rivers State, Nigeria. How Often You Must Go to the Gym? Why Exercise Can Make You a Happier Person? Can I get Physiotherapy Treatment During Pregnancy?